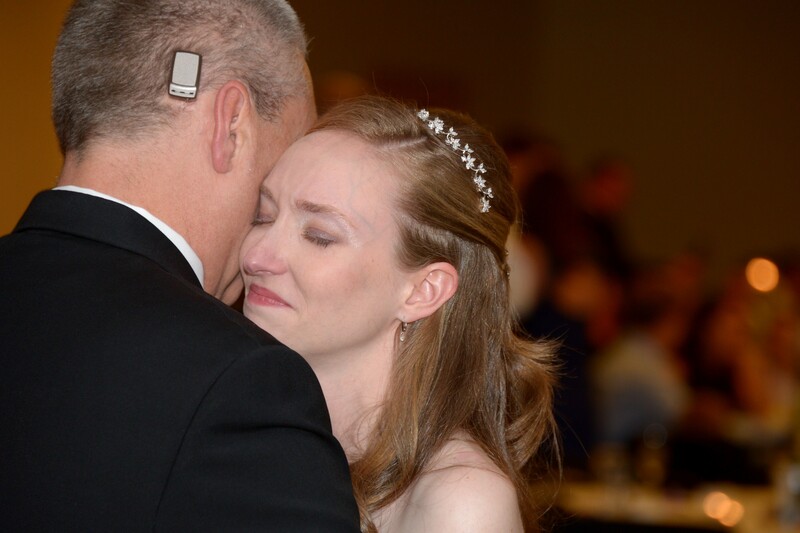 Single-sided deafness (SSD) is a unique challenge. It can be very frustrating to only be able to hear on one side, especially in noisy or crowded situations when you have little control over your environment. At 13, Baha user Dan lost all the hearing in his right ear. The cause is still unclear, but doctors suspected a virus damaged his cochlea or auditory nerve. They told him there was nothing to be done and sent him home. 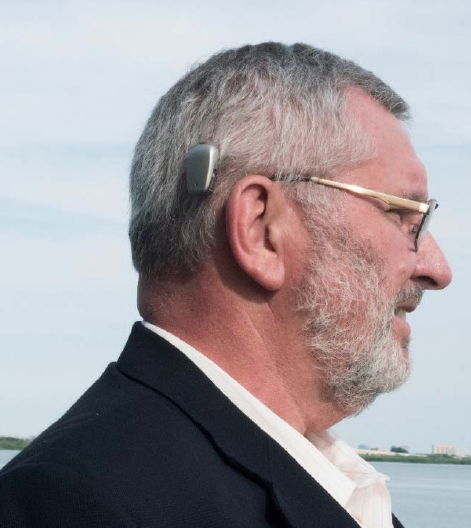 Dan wore a hearing aid system for about 20 years, with mixed results. In 2005, Dan’s wife Susan ran across an article about a new hearing solution called a Baha System. Dan went to his health care professional for a trial and spent a week comparing his hearing aids to a Baha sound processor on a headband. He said that trial gave him all the information he needed. Now, after over a decade of advancements, he has upgraded to the smaller and more powerful Baha 5 Power Sound Processor and says the sound is better than ever. He said the moment that really drove home the importance of his processor was when both of his daughters got married, two years apart. Both times, he was able to do the father/daughter dance and be completely in the moment. Even when his daughters rested their heads on his right shoulder, he was able to hear every word they said. What are the benefits of the Baha System? Question: Thank you very much for responding to me once already, it’s very much appreciated. However; I’d like to find out more about the Baha DermaLock Abutment – would this be appropriate for my situation? A. Can the DermaLock Abutment be good for me? B. Will the Baha System fix some of this annoying situation in group talking, restaurants etc? C. Will this Baha System show on the outside on my skin? I would like you to send some pics for me to see . D. Will it help my tinnitus a bit also? Finally, can you recommend a specialist in central NJ area that do this surgery? I appreciate all you can tell me , after all it’s all new to me and I do love life and would very much like to do everything i was doing. I have been isolate from lots of my friends because of the muffleness caused by restaurant noise and people talking or my wife vacuuming the house! Answer: Dear Pietro, thanks for reaching out to us. First, to clarify, we are not able to give medical advice to individuals. 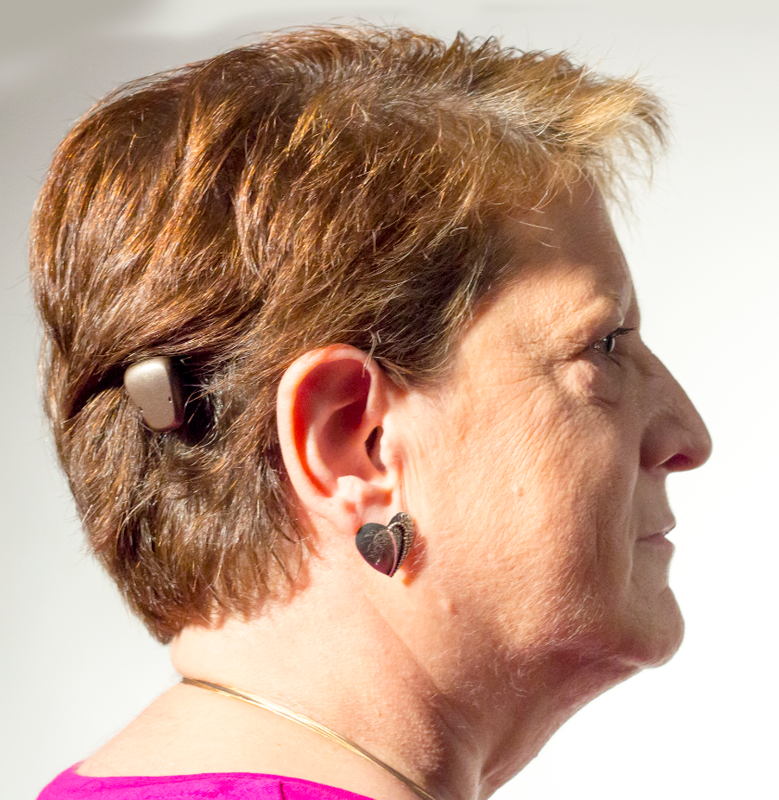 Only a hearing care professional can recommend what hearing solution is best for you. I can however try to answer your questions the best I can. A. A DermaLock Abutment is one way to connect the sound processor to the implant. This type of direct system is called the Baha Connect System. We also have the Baha Attract System. This system uses two magnets, one under the skin and one above, to connect the sound processor to the implant. Your hearing care professional will help you decided which system is best for you. The great thing about a Baha System is that you can try it out before moving forward with surgery by listening through the sound processor on a Baha Softband. This will give you a good understanding of the benefit you can expect. B. With a Baha System you can generally relieve the problem from having the muffled experience you describe when someone is talking on your hearing impaired side. The problem you are experiencing is what’s called the “head shadow effect”. This means that high frequency soundwaves coming from your impaired side are “shadowed” by your head and don’t reach your hearing ear. The lower frequency sound waves are better able to reach your hearing ear and this is what causes the muffled sound. With a Baha System on your impaired side the sound is captured and sent as vibrations through the bone directly to your hearing ear, alleviating the problem and making it easier to hear more clearly from both sides. D. Regarding tinnitus relief, this is a question that your hearing care professional will be better suited to answer. I would definitely encourage you to get in contact with a professional to evaluate your situation and reach out to people who have been in your situation. Cochlear runs events where you can meet with Baha System users and get more information. Here is a link to the event calendar in the US. If you’d like, we can have your local engagement manager contact you directly. Send us your email details and we’ll have her reach out to you. Use this tool to find a Baha clinic in your area! How well does the Baha solution represent music in stereo? Question: Hi there! I have a question with regards to the Baha System and music. About 8 months ago I lost hearing in my left ear as a result of an infection and head injury. I’m booked in for diagnostic tests to consider my eligibility for implants, but my doctor has said that a Baha solution might be good for me. I never considered an implant until recently, but now I’m starting to come around to the idea. My major qualm with an implant would be my enjoyment of music. Before my accident I was a huge music fan. I produced music as a hobby, played instruments, and loved listening to new artists and going to festivals. However since I got my SSD I’ve found it difficult to produce the same enthusiasm I once did, music seems blander than it once did, although I still enjoy it. Admittedly a lot of this disappointment is likely a result of the long-term tinnitus I’ve been experiencing, loud noises tend to make the tinnitus louder. My question is: do you have any information about how well the Baha solution represents music in stereo? I imagine it will never be the same as two ears, but can it help recover some of the fine details I’ve been missing? Can it easily distinguish between pitches? And is there a risk of the tinnitus coming back after the implant? You are right in that your hearing might not be exactly the same as it used to – but with today’s technologies, you can expect the Cochlear Baha solution to offer better sound quality than ever before. One of the many benefits with the Baha System is that you can try it before surgery. 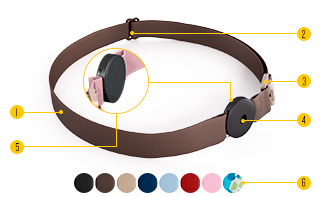 By using a Baha sound processor on a Softband you’ll get a good idea of what your hearing will be like. Also you should be aware that the dynamic range of music and speech is different. As music listening seems to be one of your key requests I would recommend that you ask your hearing care specialist to create a music program for the sound processor as you evaluate the benefit of the Baha System. This will make sure that music is represented in a good way by the system. You can also listen via the wireless Mini Mic where you can adjust the level, so that the peaks of music do not overdrive the microphones. Stereo representation will not be restored as it was before your accident as you now only hear with one ear (the Baha System will send the sound from your deaf side to the hearing ear via bone conduction). However, you should be able to pick up more details as some of the bland sounds you’re experiencing is due to the higher frequency sounds from your deaf side being shadowed by your head. Regarding tinnitus there are no reports of increasing tinnitus problems for Baha users, on the contrary, there are actually reports on tinnitus relief after getting a Baha System. However, many factors influence this and the best person to answer any questions about this will be your hearing care specialist. Question: I am SSD (conductive issue); I am a music fanatic and depressed because I could never enjoy the “sensation” of my 5.1 audio system. As expected, I like my music “loud”, not absurdly loud but loud, one of my ears is absolutely perfect. Please, how does the Baha sound processor respond to a loud audio input? Would it distort the sound or transmit it properly? My “regular” hearing aid simply doesn’t work, it distorts the audio if it is already loud. In terms of music listening, would the abutment system be better than the Baha Attract? The Baha Connect System will provide the most efficient transmission with a lower risk for distortion. That said, a music listening test with a properly programmed Baha sound processor on a Softband would give you a good understanding of whether the Baha Attract System might meet your individual requirements. Amplifying music through a sound processor is always complicated. The reason is that the sound processor is so focused on speech that is sometimes “misapprehends” the music. Using a specific music program is often very beneficial. Your audiologist can easily provide you with such a program. The sound processor also has a protection to very loud sounds. The purpose is simply to prevent it from generating a sound loud enough to damage your hearing. When this feature is used for a longer period of time, for example when listening to very loud music, it could distort the sound a bit. In that case I would recommend lowering the music volume as it is probably TOO loud. This feature is applicable to both the Baha Connect and Baha Attract System. How you will hear sound through the Baha System depends on your type of hearing loss. If you have a profound hearing loss on your “bad” ear, both when measured though bone and through air (SSD) the sound from this ear will be sent thought the bone to the good ear. So you will NOT hear the sound from both sides, in stereo. You will hear sound from both sides in ONE ear. If you have conductive or mixed hearing loss on one ear, you will be able to hear from BOTH ears. That said, please note that only a hearing healthcare specialist can recommend what hearing solution is best for you.